40% of Idahoans are struggling to make ends meet. 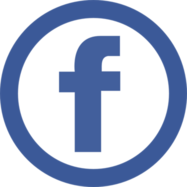 ALICE stands for Asset Limited, Income Constrained, Employed. The United Way term represents the growing numer of hardworking individuals and families across Idaho, the Pacific Northwest, and the nation who are working but unable to afford the basic household necessities, including housing, child care, health care, food, and transportation. ALICE earns above the federal poverty level, but does not earn enough to afford a bare-bones household budget of housing, child care, food, transportation, and health care. The United Way ALICE reports use new measures to provide a more accurate picture of financial insecurity at the state, county, and municipal level. What can we learn from the ALICE report? United Way’s second ALICE report reveals that despite the rapid growth of our population and distance from the Great Recession, the number of Idaho households with working members who are struggling to make ends meet continues to grow. Today, in every community and in all of Idaho’s 44 Counties, Idaho families are struggling to meet the basic cost of living. 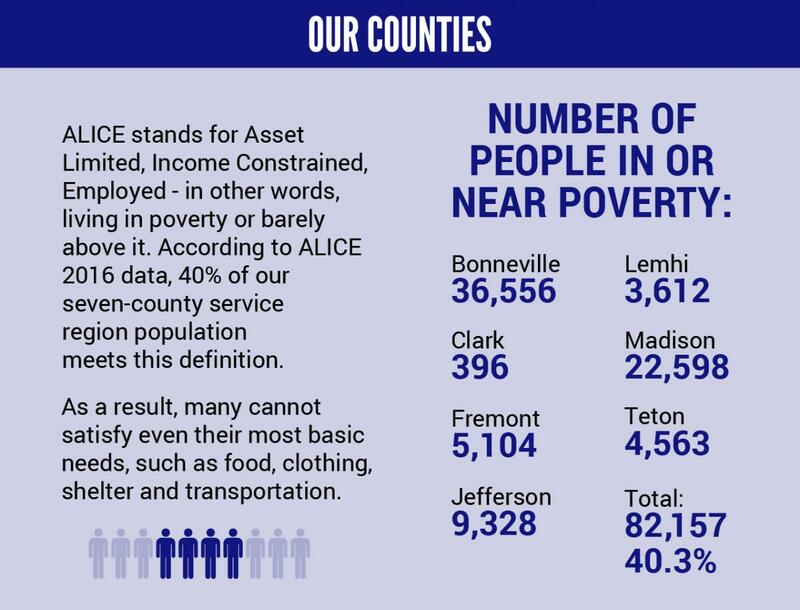 All 44 Idaho Counties have at least 1/3 of their households below the ALICE threshold. Some counties have as much as 60% of the population in economic hardship. ALICE shows us that hardworking Idahoans face complex economic challenges including high cost of childcare, little affordable housing and limited transportation support among many household budget factors. United Way presents this data to help service providers, elected officials, policy makers and all who care about Idaho families to align and work together to ensure success for all.